In a year of global political upheaval, France has delivered its own mini upset. 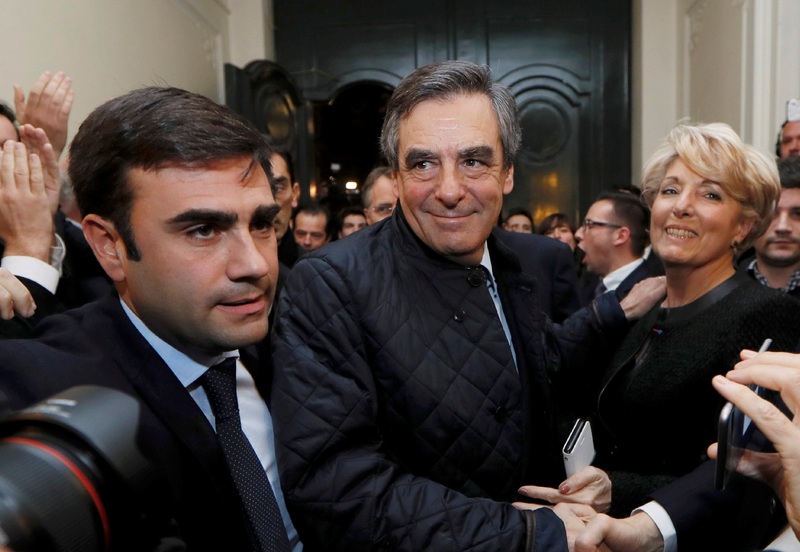 Francois Fillon, a former prime minister, unexpectedly topped the first round of the opposition centre-right’s presidential primaries on Nov. 20. If the unabashed economic reformer is anointed his party’s candidate for the 2017 election, far-right leader Marine Le Pen stands to benefit. Fillon, an admirer of late British Prime Minister Margaret Thatcher, wants to end the 35-hour work week and cut civil service jobs and public sector spending. Such trenchant proposals may strike a chord with those faithful to Les Republicains but risk alienating swathes of other voters. Opinion polls typically show that the French are favourably disposed towards economic reforms in theory – as they ought to be in a country which has long had sluggish growth and rising debt. But specific measures tend to encounter stiff resistance. The most reformist Socialists have so far shied away from taking the hatchet to the 35-hour work week and even Alain Juppe, the other contender to be the centre-right’s presidential candidate, says the scale of the public sector job cuts proposed by Fillon is too much. His plans are therefore likely to raise left-leaning voters’ hackles and could drive others who feel marginalised into less reformist arms. Right now, they have few choices. President Francois Hollande is deeply unpopular and has yet to decide whether to stand. If he doesn’t, his prime minister, Manuel Valls, might. But he has pushed through reforms in the teeth of opposition from within his own Socialist Party. Emmanuel Macron, who quit the government earlier this year, is also running for the presidency but is associated with reforms that were introduced during his tenure as economy minister. This field gives Le Pen plenty of room to plug her National Front’s statist manifesto pledges, which include promoting an economic patriotism that will protect the French from the effects of globalisation, looking after the retired, and prioritising healthcare. Of course, economics are not the only thing at stake in the French presidential election and voting for Le Pen will be a step too far for many voters. Still, the more reformist her opponent, the more chance she has to destabilise French politics. Francois Fillon, a former French prime minister, on Nov. 20 topped the lists in the first round of the opposition centre-right party's primary race to pick its presidential candidate. Fillon faces Alain Juppe, also a former prime minister, in the second round of the Les Republicains' primaries after the surprise first-round vote eliminated ex-President Nicolas Sarkozy from the contest.